Welcome to Day #8 of Chocolate and Nuts Theme Week. 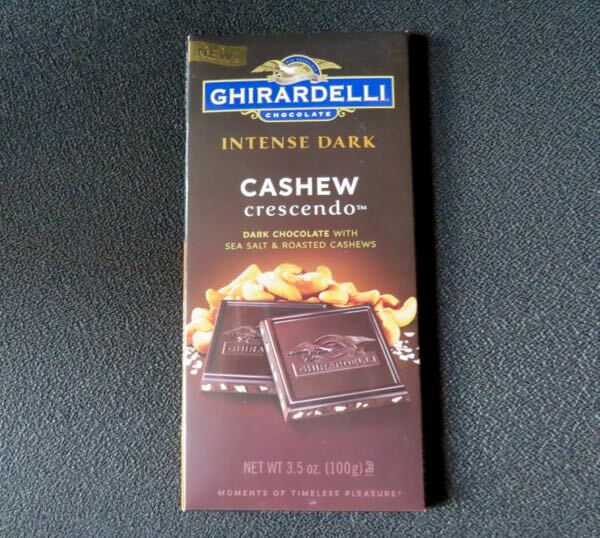 Today's Intense Dark - Cashew Crescendo bar from Ghirardelli Chocolate (San Leandro, CA) was a "blend of dark chocolate, roasted cashews and coarse crystals of sea salt...a combination of salty and crunchy." Yes, that is a pretty good summary. 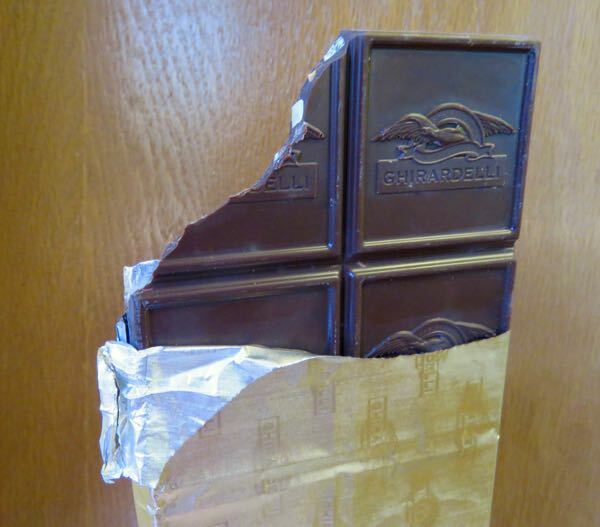 I can't top that. 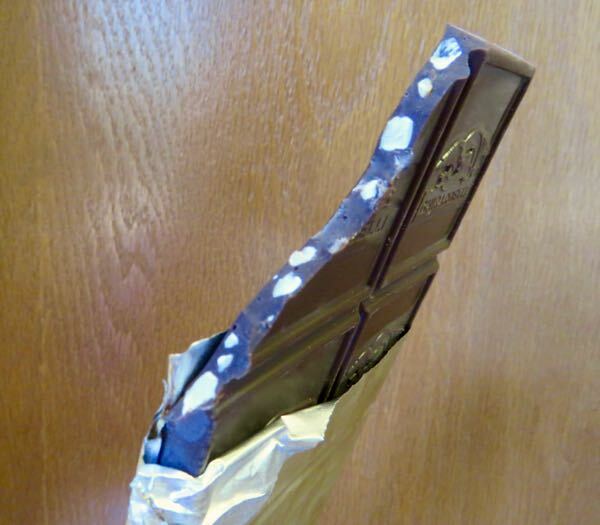 The dark chocolate bar* had a slight, roasted bittersweet, yet fairly uniform flavor. 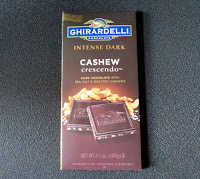 Take a bite and you'll see several pieces of cashew; however, as is often the case with this tropical nut, the mild cashew flavor was all but eclipsed by the chocolate.